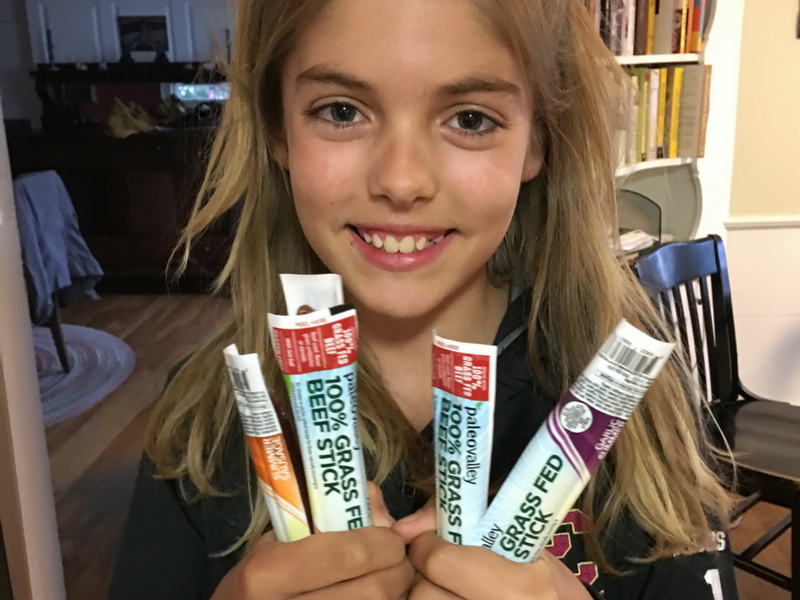 The Perfect Kid’s Snack: 100% Grass-fed Beef Sticks! Hey there, I’m Chloe and I’m also a registered dietitian, real food advocate and mom to some hungry, growing kiddos. I want to talk with you about the annoyance that is packing school lunches and snacks! Although my kids aren’t at a nut-free school, we’re a nut-free classroom, which means that my snack-packing options are limited. Well, I shouldn’t say “limited” because I know that there’s a plethora of animal crackers, granola bars, and even “healthy” cookies out there targeted towards the nut-free crowd. But I can’t, in good conscious, send my kids off to school with some crackers and think that I’m nourishing them to the best to my ability. I know better. My kids are growing their brains and their bodies, and I’m putting them at a disadvantage if I give them processed carbohydrates and expect them to sit still, pay attention and learn. Just like adults, they need protein and good fat in their diets to feel and perform optimally. OK, so where does that leave me? Obviously nuts fill these criteria of protein and healthy fat, but those are out. What about hard-boiled eggs? Fine, but I also know how cruel kids can be and I don’t want my kids to have the “fart snack”. Oh and p.s. they usually only get about five minutes for snack time so it has to be quick and easy. But it’s not easy! It can be a struggle to find something that is quick, has quality protein, good fats and is tasty. And lord help me if it’s a field trip day because then it can’t be perishable either. 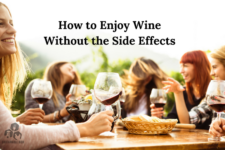 So, what’s a mom to do? 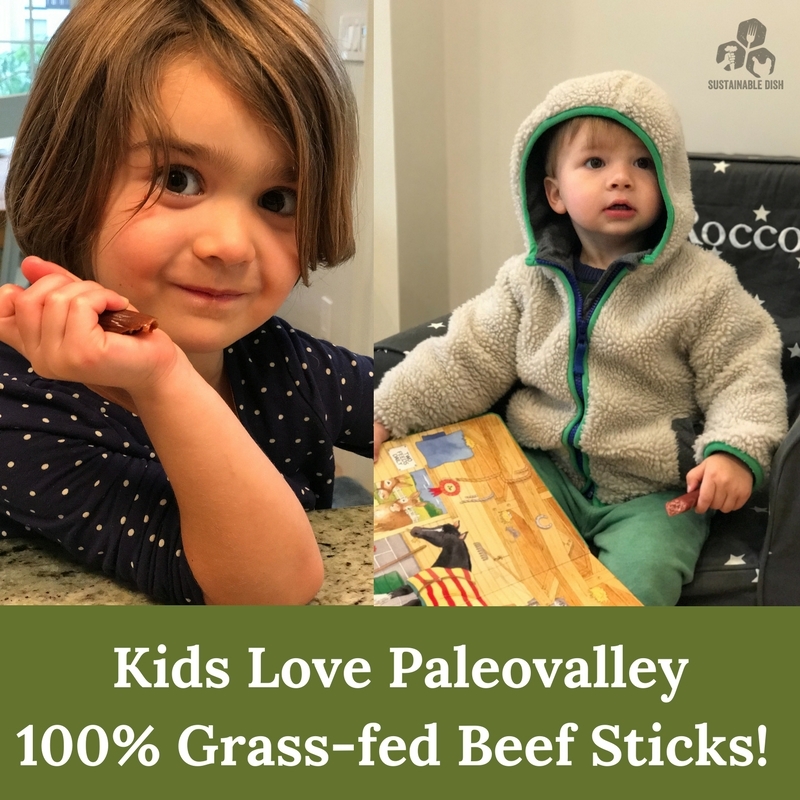 I was lamenting to Diana a few months ago about this struggle, when she introduced me to company called Paleovalley that makes beef sticks. Knowing Diana, I obviously knew that this wasn’t going to be your typical “beef jerky” and that it was most likely going to have good ingredients but I had no idea just how impressive this company was until I started looking more closely into them. 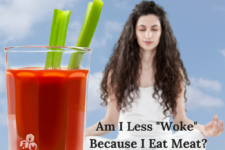 They were founded by a holistic nutritionist (I already loved these guys) who set out to create the highest-quality beef stick on the market. The beef is grass-fed and grass-finished, which I also love because immediately when I hear those things I’m thinking: great protein, healthy fats, higher levels of nutrients including calcium, magnesium, iron, zinc and potassium and omega-3s. A lot of the healthy and natural beef jerky on the market today are made with encapsulated citric acid (this helps make things shelf-stable), which isn’t ideal because that is made from GMO corn, but not these guys. 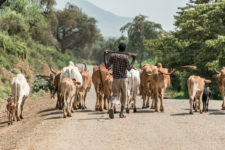 They use natural fermentation processes to make their beef sticks shelf-stable and an added bonus of this preservation method is that they are loaded with probiotics. Two of Chloe’s four kids, all of them love these beef sticks! But how does it taste? Anyone who has kids knows that getting them to eat what you want them to can be a battle. I started out with 20 of these beef sticks in all different flavors in the house and they were gone within the week. My kids DEVOURED them. My four year old’s favorite flavor is the jalepeño one! They’re all amazingly good. And aside from being a solution to my school snack dilemma, I found that they are great to keep on hand in the car for after sports practices or during a long car trip — though I’d be lying if I told you that the majority of our car supply isn’t eaten by me. Head on over to their website to try some for yourself! This raises the question of how a consumer can confirm that the animals harvested for meat production are humanely treated? I generally assume that grassfed beef is not raised in factory conditions and generally slaughtered in smaller, more humane facilities but I really don’t know if that is true? There are some animal welfare standards organizations but I don’t often see them on products from smaller companies. Can you make any suggestions for selecting products that feature animals that were humanely raised and slaughtered? Animal Welfare Approved is the gold standard in humane handling (and I’m on their board). You can contact the companies directly to see if they have handling criteria. Most companies that source grass-fed beef do utilize AWA certified farms, ranches, slaughterhouses, etc.